SpeedSport Promotions : Thrilling Moto Grand Prix at Silverstone!! Thrilling Moto Grand Prix at Silverstone!! Horrific weather throughout race day could not dampen the spirit of the fans in the Speedsport hospitality suite. 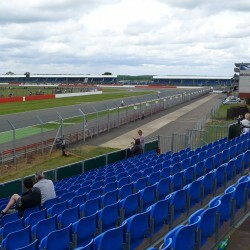 Despite constant high winds and heavy rainfall Sunday's Moto GP at Silverstone was full of drama and excitement. All who attended had a great day enjoying superb food and drink as well as an enthralling Grand Prix. We are now looking forward to the British Formula 1 Grand Prix where we still have some places available in our suites so please don't hesitate to contact us if you have any enquiries.